In 2008, root cellars were back in vogue, according to The New York Times. Our grandparents who stored gourds and other produce underground were onto something. 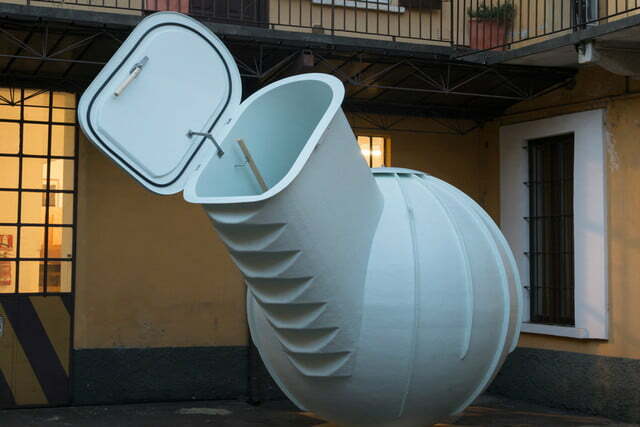 The Earth provides natural insulation, keeping the food cool similar to a refrigerator. 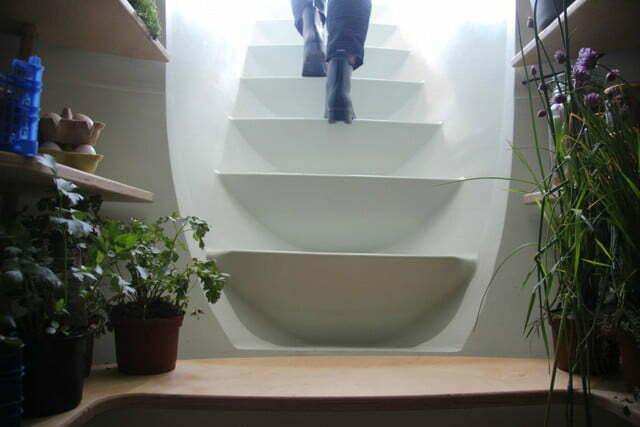 A sort of updated root cellar, the Groundfridge takes advantage of the same properties. Floris Schoonderbeek and his design company, Weltevree, created the electricity-free contraption, which looks a bit like something out of a Dr. Seuss orchestra. Placing the curved, laminated polyester structure in the ground helps keep its internal temperature to between 50 and 68 degrees Fahrenheit all year round. It’s covered with about three feet of soil, except for the door. That’s mostly it for the low-tech version, but the high-tech model has a solar panel and LED lights, as well as an air circulator, in the door. This helps keep the temperature more consistent, but the company says even the non-techy version is good for things like wine and cheese, according to Dezeen. 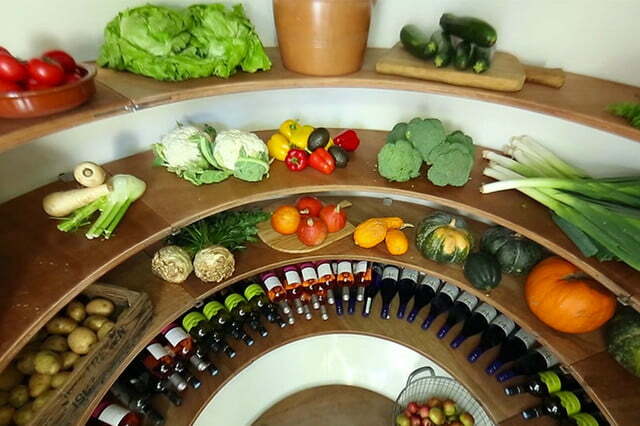 The shelves circle around the inside, and stairs lead up to the door. 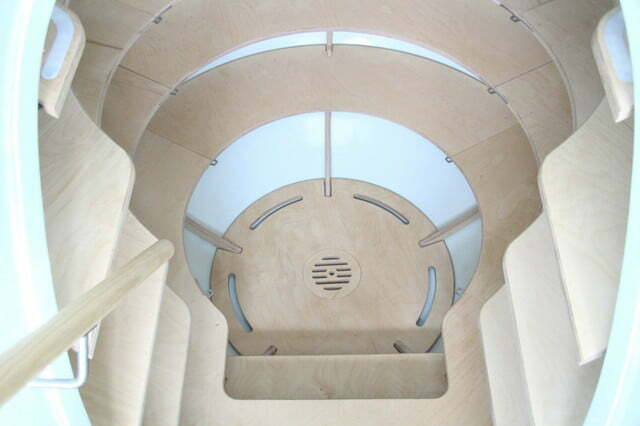 Its capacity is about 20 times that of an average fridge, and it can hold 1,100 pounds of food. Maybe you should split it with a dozen of your closest neighbors? 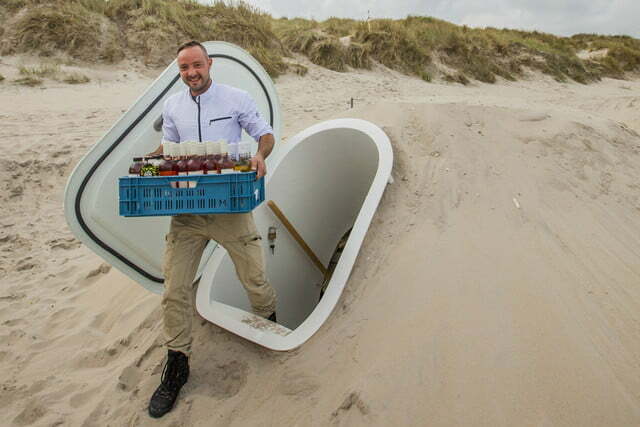 And while storing food underground might be old-school, who knows? One day, more of us might be living there.